One of the best sites on the internet for people who play or just love the Traveller RPG is Traveller Map. This site hosts an incredible collection of official and unofficial Sectors for the Traveller science fiction role-playing game. Now the really cool thing about this site is that you can use features to produce your own Sector maps as either JPG/PNG or PDF files. 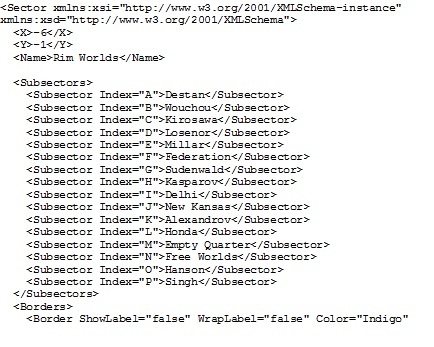 You have to format your sector information into two separate files – a file containing information on worlds in the standard Traveller format, and a meta data file with instructions to the site to draw borders, name political entities and to draw trade routes and so on. 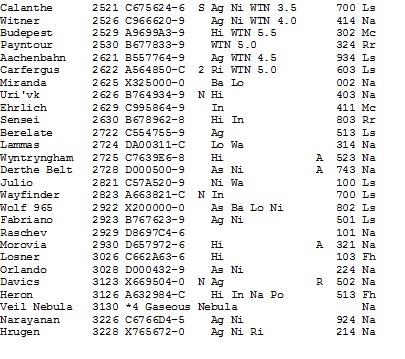 I have had this sector sitting around in a software package called Galactic 2.4 (by Jim Vassilakos) for years and extracted the data it for the maps shown below. Once you have these things you plug them into the POST/API form and you can produce all sorts of flash Traveller style maps. 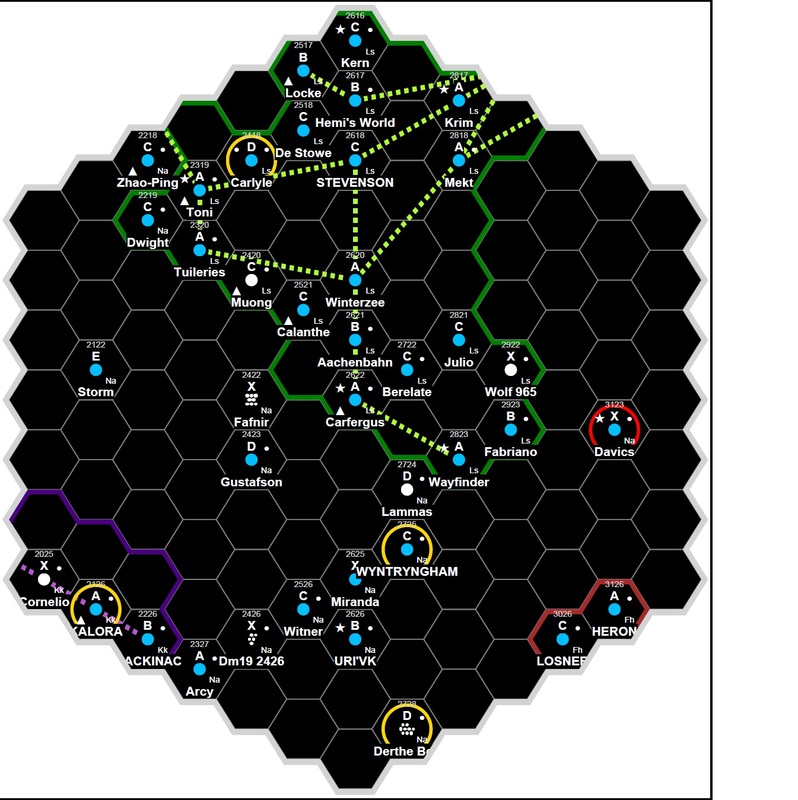 And a very useful tool is the ability to produce a map showing all hexes within n-radius of a specified hex number. In this case Hex 2622. 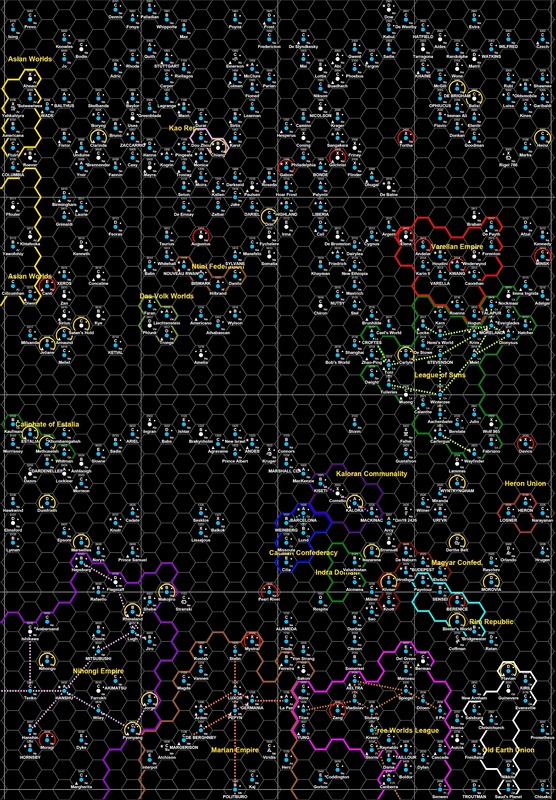 All these maps can be produced in printer friendly mode (drops the black background or a grey scale). You can also drive the scale down to show world UPPs (Universal Planetary Profiles) on the map. 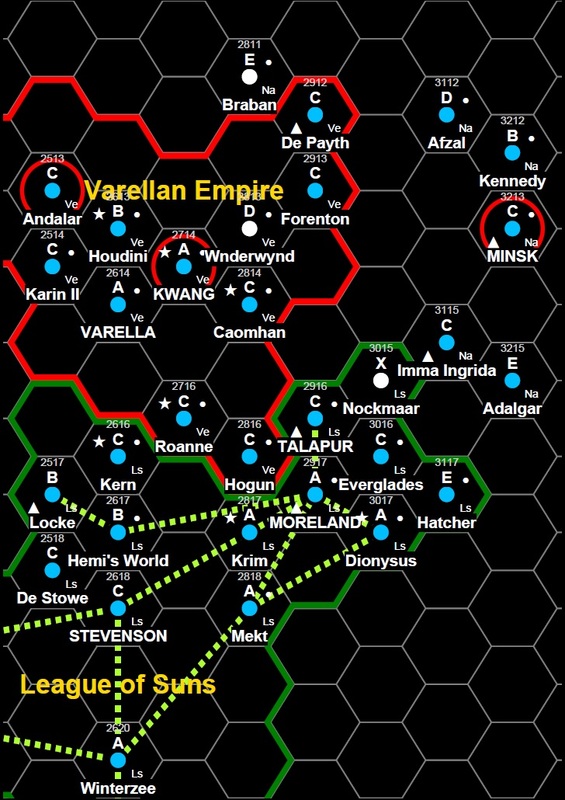 If you have Traveller sectors that you have in some other system (Galactic 2.4, Heaven and Earth, etc) then it is easy to use that data on TravellerMap.Com. Give it a go – you wont be disappointed.